Amazon can be very competitive. Trust me I know this from experience. When I launched my 1st product on Amazon.co.uk there was only 1 other real competitor, and this competitors’ product was a slightly different design to mine. However, by the time my products were manufactured in China and shipped over to the UK (nearly 3 months later) there was 1 other competitors with an almost identical product on Amazon. Still, 2 main competitors is fine. Fast forward 2 years and there are probably 20+ identical products to mine. This has driven the price down to a bare minimum and profits have taken a significant dip. To stay near the top of Amazon for my main keyword phrases (i.e. the words people type in to Amazon’s search field to find products) I need to sell 15 to 25 units per day consistently, and to do that I had to slash my sale price from £14.99 to £9.99 (I’ve dropped as low as £7.99 but at that price I make a small loss per sale). So what can I do to increase sales? I could keep my prices very low, I could spend more on advertising, I could look to drive off-Amazon traffic to my listings, I could sell different products, or I could sell on Amazon Japan. 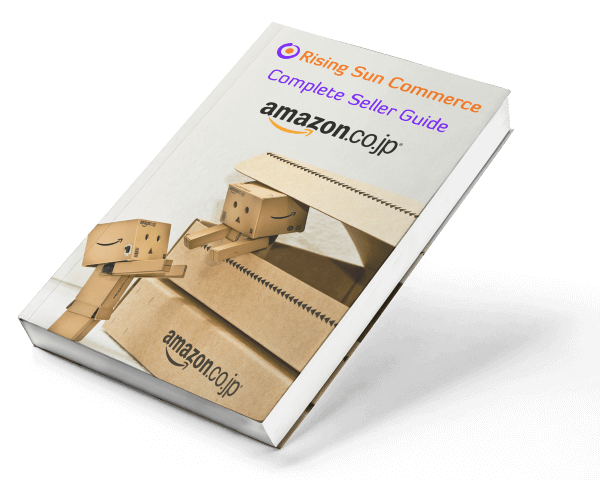 Selling on Amazon Japan may seem a little drastic and overly complicated, but actually it is the best option. Ultimately what selling in Japan does is open up a huge new market without adding more products to my range. For reasons discussed in this ebook Japan is the perfect place to sell online. Amazon Japan makes even more sense because it is a huge and relatively untapped market. You can read all about how I took my main product over to Japan here, but to cut a long story short we got to Best-Seller in our main category while only making 5 to 10 sales per day. There is competition, don’t get me wrong, but it is significantly lower than in the UK. To remind you it takes 15 to 25 sales per day (consistently) to get even close to best seller for this same product in the UK. Maybe it’s worth it for you too? Need any help or advice. Just post a question in our dedicated e-Commerce Japan Facebook Group here.